MIRON Violetglass BV produces and distributes a large assortment of MIRON glass packaging for the cosmetic – and food industry. 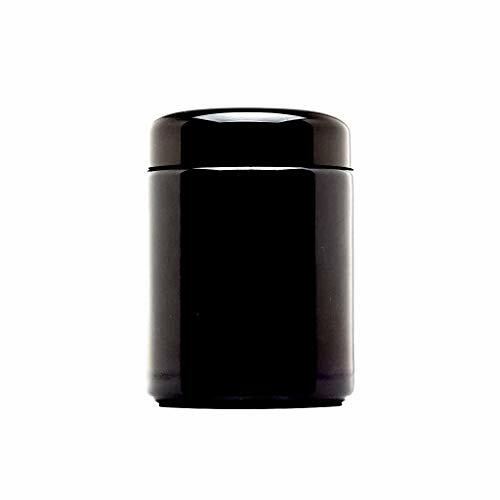 Our packaging distinguishes itself by its high quality and offers your products optimal protection against the harmful effects of light. 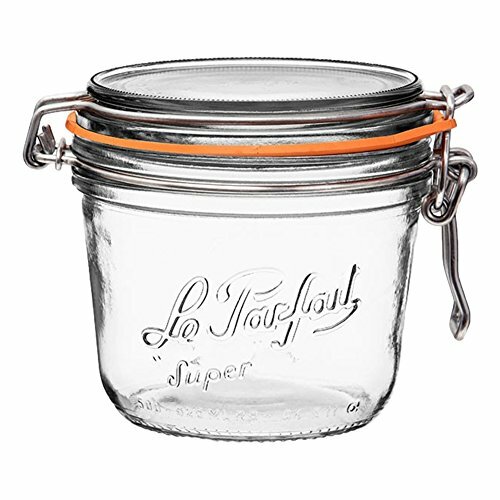 Furthermore, our MIRON glass increases the shelf life of your products and prolongs their potency. Miron Violet glass blocks the complete spectrum of visible light with the exception of the violet part. At the same time it allows a certain part to be permeable for radiation in the spectral range of UV-A, and infra red light. 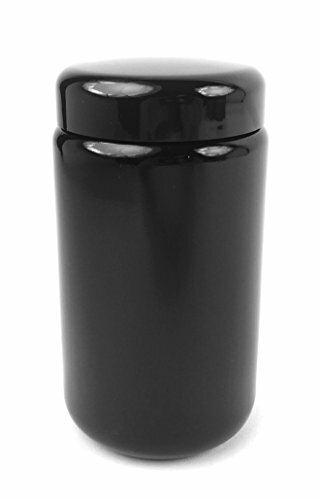 This unique combination offers optimal protection against the aging processes that are released by visible light, thus lengthening durability and potency of products. MIRON Violetglass BV produces and distributes a large assortment of MIRON glass packaging for the cosmetic - and food industry. Our packaging distinguishes itself by its high quality and offers your products optimal protection against the harmful effects of light. 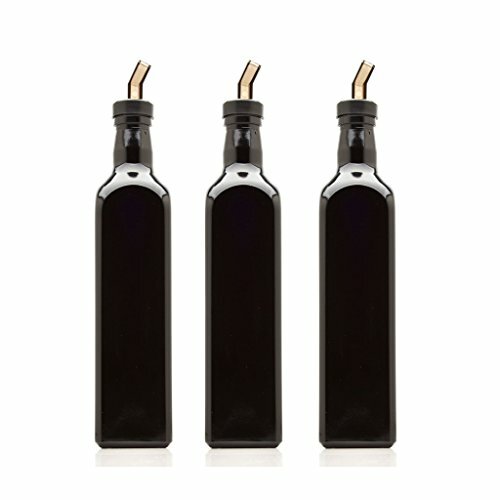 Furthermore, our MIRON glass increases the shelf life of your products and prolongs their potency. Miron Violet glass blocks the complete spectrum of visible light with the exception of the violet part. At the same time it allows a certain part to be permeable for radiation in the spectral range of UV-A, and infra red light. This unique combination offers optimal protection against the ageing processes that are released by visible light, thus lengthening durability and potency of products. 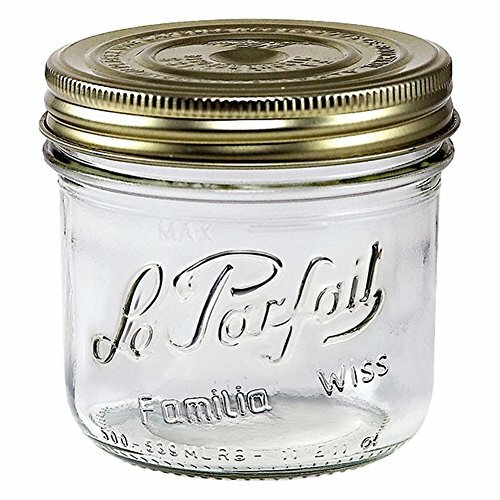 Weight: 8.45oz noticeable heft glass. 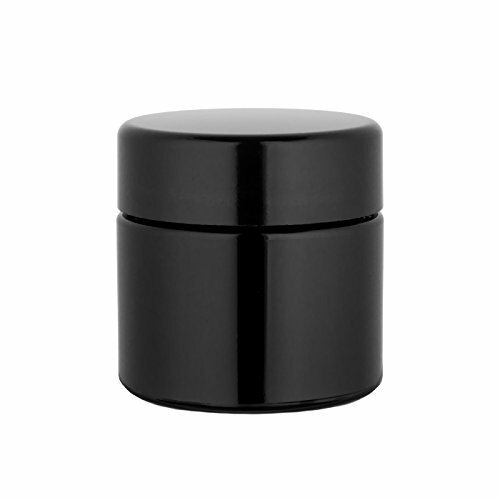 Superior constructed lf plastic lid with pet ldpe-violet foam sealing element. 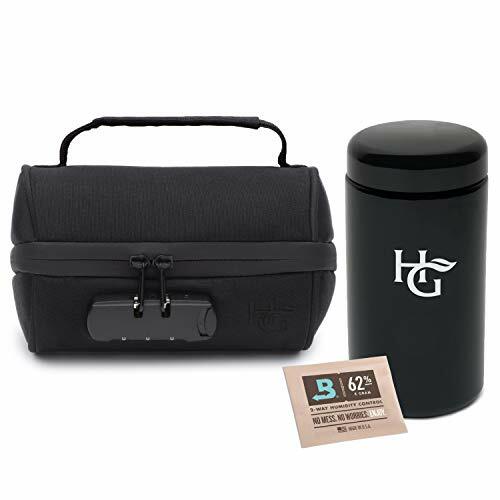 Medium size stash storage container(ideal for at home, and larger travel requirements) with dimensions 4"h x 2.75"w. Mouth ~ 2.25"w capacity 250ml ~ half-ounce ~ 1/2 oz of loose herb ~ approx 3.5oz or 100g of dry herb, extracts, powders suitable for kitchen storage needs ~ spices, tinctures, medicine hermetically sealed ~ airtight ~ waterproof & smell proof ~ preserves potency reusable ~ refillable ~ ~ bpa & chemical free will not leach, absorb, or contaminate your dry goods & vice-versa sleek subtle styling ~ no label, no questions takes 95% of a complete rotation to open - economical and ergonomic ~ the kokusho group.Laboratory tested ultraviolet glass protects against harmful light - premium european ultraviolet glass (uv-a) storage containers for storing your nuts, seeds, herbs, coffee, teas, super foods, dried foods, granola, algae, and protein powders, baking flours. It allows beneficial uv and infrared wavelengths of light that can kill molds, algae, and bacteria. Weight: 8.45 oz. noticeable heft glass. 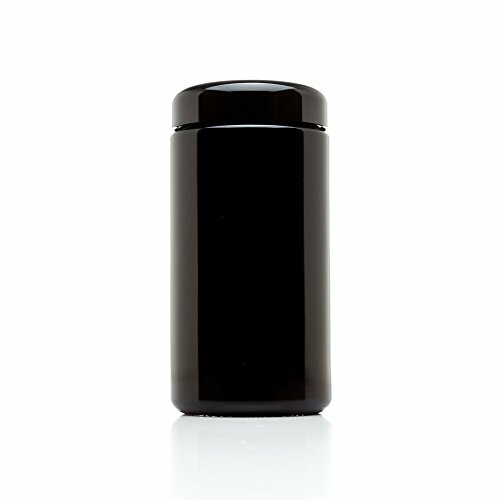 Superior constructed lf plastic lid with pet ldpe-violet foam sealing element. 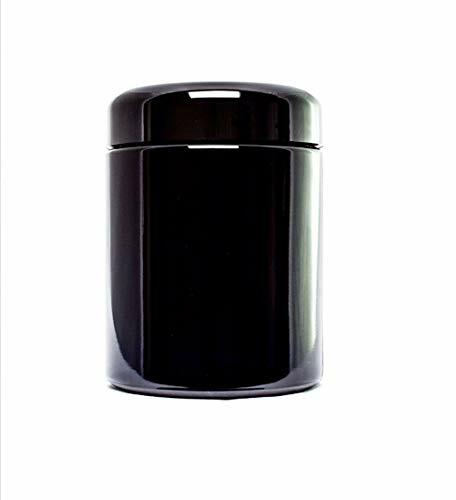 Medium size stash storage container(ideal for at home, and larger travel requirements) with 100g of dry herb, extracts, powders suitable for kitchen storage needs, spices, tinctures, medicine hermetically sealed, airtight, waterproof & smell proof. 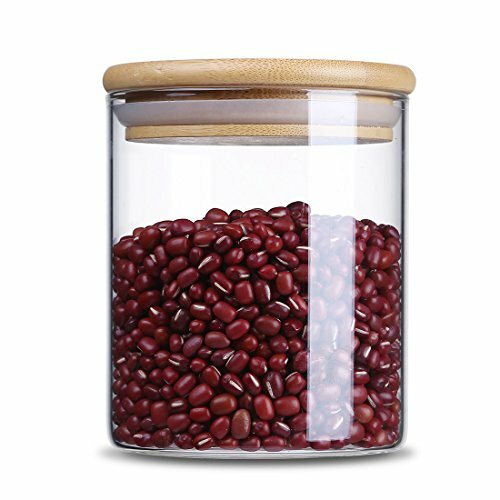 Preserves potency reusable, refillable, bpa and chemical free will not leach, absorb, or contaminate your dry goods & vice-versa sleek subtle styling. MIRON Violetglass BV produces and distributes a large assortment of MIRON glass packaging for the cosmetic – and food industry. Our packaging distinguishes itself by its high quality and offers your products optimal protection against the harmful effects of light. 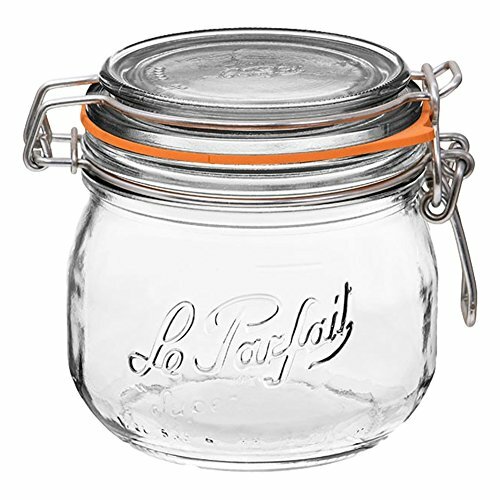 Furthermore, our MIRON glass increases the shelf life of your products and prolongs their potency. Miron Violet glass blocks the complete spectrum of visible light with the exception of the violet part. At the same time it allows a certain part to be permeable for radiation in the spectral range of UV-A, and infra red light. This unique combination offers optimal protection against the ageing processes that are released by visible light, thus lengthening durability and potency of products. 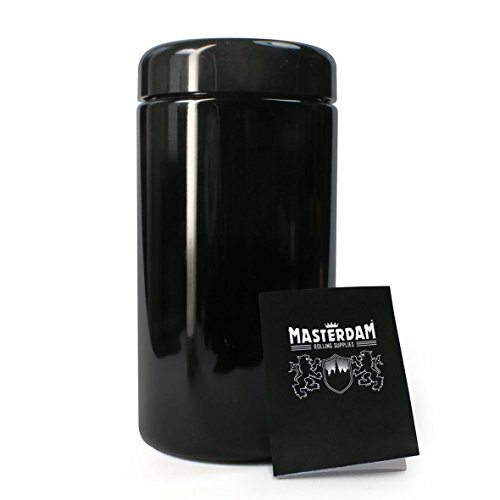 Interplanetary Development's 500ml Smell Proof Glass Storage Jar! Our Ultraviolet Glass Protects Against The Harmful Effects Of Damaging Light Rays. 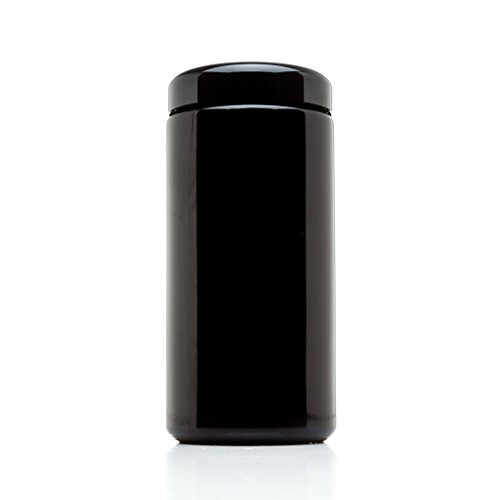 Guarding Your Herbs, Coffee, Tea, or An Infinite Amount Of Options From The Harmful Effects of Light. Keeping Organic Matter Fresher For Longer. 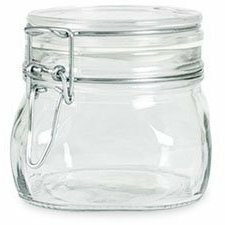 Includes: - 1; 500ml Glass Jar and Screw on Lid - 3; 3x4 Smell Proof Baggies - 3; 4x6 Smell Proof Baggies Technical: - Highly: 6.1 Inches - Diameter: 3 Inches - Weight: 1 Pound At Interplanetary Development, We Have All Your Needs Covered! 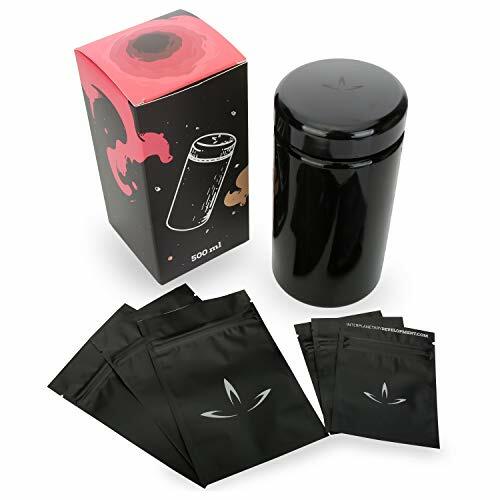 Herb Grinders, Presses, Smell Proof Baggies, Glass Jars, And Unmatched Customer Service! And It All Starts With Your Satisfaction. Guaranteed! 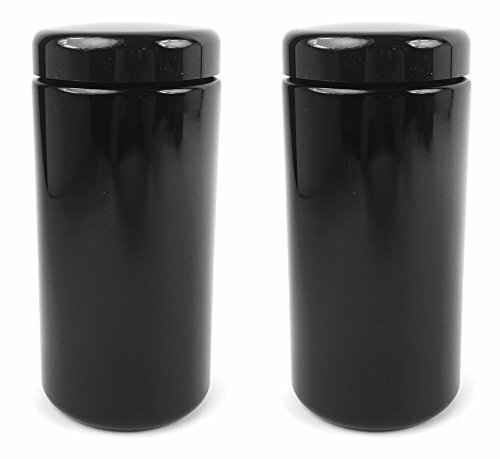 If You're Not Satisfied With Our Dark Glass Jars, We Will Refund Your Purchase! No Questions Asked!